Igor Pessoa is a PhD candidate in the OTB Department at the Faculty of Architecture and the Built Environment since 2014. His research is financed by CAPES (part of the Brazilian Ministry of Education) and it looks for possible mechanisms to improve urban resilience in Brazilian Metropolises. He tries to transform the broad concept of resilience into practical, objective and implementable policies. 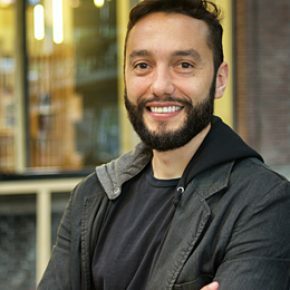 In TU Delft he also helped to establish the Global Urban Lab, an online collective initiative of PhDs that are working to tackle urban challenges in emerging economies outside Europe. He became an Architect and Urban Planner by the Federal University of Rio de Janeiro, but has always been interested on strategies beyond the traditional design oriented solution for urban problems. In that sense, Igor is eager to debate possible comprehensive and multidisciplinary solutions for contemporary urban challenges.